How much of a difference will the recent reforms of UK offshore oil and gas regulation make to the industry and its stakeholders? 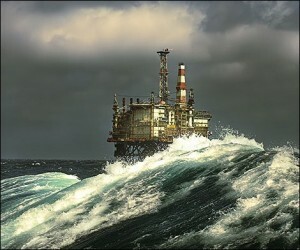 It may be too early to say whether the creation of the Oil and Gas Authority (OGA), the articulation of the “MER UK Strategy” and the other changes introduced by the Infrastructure Act 2015 and the Energy Act 2016 will facilitate solutions to all the significant problems faced by North Sea operators, but in our view it is already clear that the changes of the last two years will have a profound impact on the industry. Government intervention in the UK’s offshore oil and gas industry is nothing new. It has taken different forms at different times, and has included, as well as numerous changes in taxation, Government participation (or at least the ability of Government to participate) in decision-making at the individual asset level through rights granted to state-owned entities. More specifically, for almost 20 years, Government has been aware of, and has been taking action to address, the particular set of problems that the UK Continental Shelf (UKCS) faces as a mature basin. Between 1999 and 2004, the Department of Trade and Industry and its successors took a series of steps to foster investment and innovation in the industry and improve its efficiency: a joint Government / industry report (A Template for Change) was published in 1999; task forces were appointed; changes were made to the administration of the licensing regime; new types of licence were introduced. Brent at $9/barrel – a record low – in February, but recovers to $25 by December. Oil & Gas Industry Task Force report (September) set a vision for the UKCS in 2010, aimed at increasing investment and employment, and prolonging UK self-sufficiency in oil and gas. 2002 PILOT “Progressing Partnership” Work Group launched to address behavioural and supply chain barriers. Initiatives include transferring “fallow” assets to those best placed to exploit them. 2003 “Promote” licences offered for the first time to attract new small players. 2004 22nd offshore licensing round: largest number of blocks since 1965. “Frontier” licences first offered. However, by the time that Ed Davey, as Secretary of State for Energy and Climate Change, commissioned Sir Ian Wood to carry out a review of the industry in 2013 and the Wood Review’s final report was issued early in 2014, it had become clear that all the good work done after the 1999 report had not resolved or prevented some fundamental problems, and that the “vision for 2010” which it articulated had not been fully realised. Average production efficiency declined from 81% in 2004 to 60% in 2012. There had been a downward trend in numbers of exploration wells drilled since 2008 (with about 70% fewer being drilled in 2013 than were drilled five years before). Perhaps worst of all, costs of production per barrel had risen fivefold in ten years. And all that was before global oil prices began a period of sharp decline which has seen them fall to levels at which most North Sea fields are said to be uneconomic, with no certainty of a rapid or sustained recovery. 2005 24 new companies enter the North Sea as part of a record offering of 151 licences. 2006 UK a net importer of gas in value terms for the first time since the early 1980s. 2007 Legislation to allow storage of natural gas under the seabed / unloading of LNG at sea announced. 2008 Brent crude tops $100 / barrel for the first time, rising to over $140 / barrel in June and July. 2010 Largest number of blocks applied for since the first licensing round in 1964. 2011 Brent crude tops $100 / barrel for the first time since 2008. 2012 Demand for offshore licences again breaks all records (applications covering 418 blocks). There has been general agreement with Wood’s conclusion that “a stronger Regulator with broader skills and capabilities able to significantly enhance the level of co-ordination and collaboration” would “largely resolve” the problems that his review identified. It is rare for an industry to be so apparently united in its desire for stronger regulation – even if it was clear from the first that a regulator based on Wood’s prescription would be different from many sector regulatory bodies in terms of its remit, composition, and its interactions with industry. It has probably helped that the fall in oil prices has made the problems identified by Wood more acute, increasing the demand for a powerful independent regulator to get to work on solving them. This, together with the compelling nature of Wood’s analysis and strong political support, has enabled the necessary legislative changes to be put in place rapidly. Why do we think that North Sea regulation from now on (or at least from the date on which the relevant provisions of the Energy Act 2016 come into force and the Regulator’s staff complement is up to full strength) will be radically different from what operators have been accustomed to? There are six main reasons. For the first time, the UK offshore regulatory regime (excluding its environmental and health and safety aspects) has a single governing principle articulated on a statutory basis – the objective of maximising the economic recovery of UK petroleum (MER UK). Although MER UK is defined in general terms in a strategy promulgated by DECC under the Infrastructure Act 2015, its specific meaning and impact in any given situation will in large measure be determined by the Oil and Gas Authority (OGA). The obligation to act in accordance with MER UK, as so defined and interpreted, applies – or could be said to apply – to at least one person involved in the taking of almost any commercially important decision in the offshore industry. Under the new regime, the OGA and DECC will potentially have access to vastly more information about North Sea assets and infrastructure, the commercial intentions of those with interests in them, and the relations between them, than DECC has had to date. The OGA does genuinely appear to be a new kind of regulator, in terms of its composition, capabilities, culture and combination of functions. It is also likely to take a more proactive approach than its predecessors. The terms of the MER UK strategy and the robustness of the enforcement tools at the OGA’s disposal suggest that it will enjoy unparalleled leverage over licence holders and others to ensure that collaboration “for the greater good” really does happen. In future posts in this series, we will explain in more detail how the relevant provisions of the Infrastructure Act 2015, the Energy Act 2016 and the MER UK strategy achieve these results and how we think the application of the new rules by industry parties, DECC and the OGA will affect key moments in the life of North Sea infrastructure and assets. 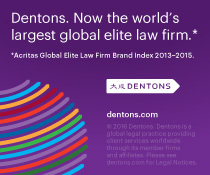 Companies involved in oil and gas activities globally are tightening their belts. The decline in the price of Brent crude oil (spot sales) from $115 in June 2014 to less than $50 per barrel in just over six months represents a loss in value of over 60%, leading to a reduction in profits (and for some, no profit at all). Regardless of the macroeconomic effects for GDPs, the economics presently look stark. across the board rate cuts for North Sea contractors have been implemented since January. All this comes at what was already a difficult time for the North Sea industry. It is worth noting that some companies were exiting the UK Continental Shelf (UKCS) even before the price crash and that much of the investment, and growth in the UKCS is expected to be in more expensive “frontier” areas. But now, according to a survey of forecasters conducted by The Independent, the oil price is almost at a point that every barrel produced in the North Sea would be unprofitable. There have been calls for a 50% drop in taxes applicable to the North Sea, as 100 (out of around 300) fields were said to be in danger of being shut in. Faced with such a drop in the price of their product, operators of producing fields have four choices: (i) sit tight and hope prices bounce back quickly and sharply, (ii) cut costs and/or investment, (iii) shut in production or (iv) lobby the Government to boost their net revenue by changing the fiscal position. We’ve seen some examples of option (ii) already, as noted above. Companies opting for option (i) may wish to consider overlifting or underlifting their share, within the confines of joint venture arrangements, to ease immediate cashflow worries (and see our previous article for issues to consider dealing companies potentially in distress), or gambling on a return to higher prices, respectively. Here we consider options (iii) and (iv) in more detail. Operators of producing fields might consider shutting in production (i.e. stopping production and shutting wells), either for a temporary period until the oil price rises back to a profitable level or permanently with a view to beginning decommissioning. Below, we take a look at some of the practical and legal consequences. Recommissioning facilities after a temporary shut-in can be a costly and lengthy process. This can be prohibitive, leading to remaining reserves being left in the ground. According to reports it took BP’s Rhum field (temporarily shut in between November 2010 and October 2014) a year to recommence production due to technical delays after receiving approval from DECC. 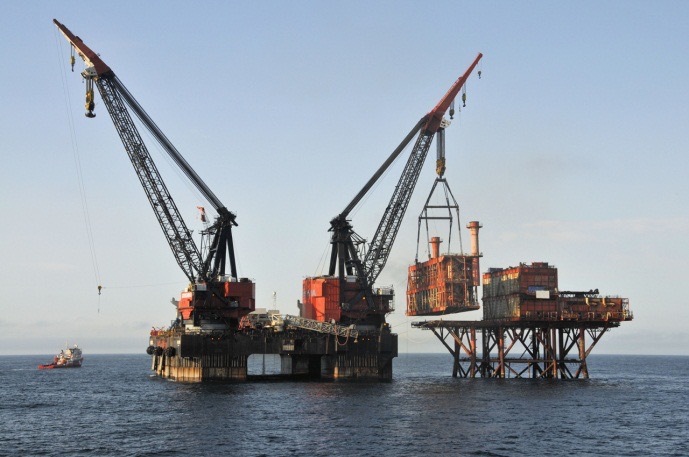 Those who choose to shut in production with a view to decommissioning must undertake decommissioning activities in accordance with pre-approved programmes. Early field decommissioning can also result in the premature decommissioning of ageing infrastructure which could otherwise be used by newer fields. But before an operator can take steps to shut-in production, it must follow a process and obtain certain approvals (which may or may not be forthcoming). Prior to engaging with Government, the operator must obtain approval from its other joint venture parties in accordance with the voting arrangements in the relevant joint operating agreement. If the green light is given, the operator will need to seek approval in accordance with the law and licence conditions. DECC regulates producers operating in the UKCS through the Petroleum Act 1998, as well as the licence conditions in offshore exploration and production licences granted to companies wishing to explore and produce oil or gas in the UKCS. These conditions are drawn from “model clauses” set out in secondary legislation. The model clauses used vary depending on when a licence is granted. But a general principle applying across model clauses for all licences (regardless of when the licence was granted) is that the Secretary of State for Energy and Climate Change’s (the Secretary of State) consent or approval is required for certain key steps. Under the licence conditions, a licensee cannot abandon any well, nor may it decommission any assets, without the Secretary of State’s consent. Therefore any decision to shut-in a well governed by a UKCS licence requires the Secretary of State’s blessing. The Secretary of State has the power to revoke a licence (in respect of one or all licensees) on a failure to comply with licence conditions and may direct at the time of revocation that any well drilled is left in good order and fit for further working; thus providing the possibility of future production. The results of prematurely shutting in production seem diametrically opposed to the Government’s aims of maximising economic recovery from the North Sea resource (MER UK) (in line with the proposals set out in the Wood Review). Prior to the coming into force of the Infrastructure Bill, there is no legal requirement for the Government to take MER UK into account when exercising its licensing and decommissioning functions. It is bound to be a factor in decision-making on any request for Secretary of State consent. The Infrastructure Bill, when in force, will also place obligations on producers (see our previous blog) to act in accordance with the Government’s MER UK strategies. There may be nothing more certain than death and taxes, but taxes applying to the UKCS have been far from certain. The surprise increase in the Supplementary Charge from 20% to 32% in 2011 (due to the high oil price) serves as a reminder to the industry of the temptation to shock (but without awe). Analysts and industry experts believe that what is needed is (i) a quick fix reduction on tax rates to show UK plc supports the North Sea industry (and help those still making a profit) and (ii) a comprehensive review of the tax system in place to reduce complexity. The Government did respond to the oil price change in December 2014 announcing various reliefs, including cutting the Supplementary Charge from 32% to 30%, extending the ring-fence expenditure supplement for offshore oil and gas activities for four more years as well as plans for new “cluster” allowances. The industry commended these steps, but they were felt not to go far enough. In addition, these reliefs may be more helpful for those engaging in exploration in newer frontier areas than for those producing from the older fields with marginal economics. With the oil price dropping lower (and the potential for sub-$40 Brent crude), in mid-January, Sir Ian Wood, whose Review recommended a wholesale review of the tax structure to encourage investment in the interests of “MER UK”, advocated lowering the Supplementary Charge within the next few weeks by at least 10%, i.e. back to 20%. Malcolm Webb’s view is that the December “measures can only be seen as the first steps towards improving the overall fiscal competitiveness of the UK North Sea. We will certainly need further reductions in the overall rate of tax to ensure the long-term future of the industry”. 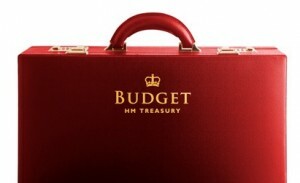 What else does the 2015 Budget have in store? Part of the problem is that the UK operates a licensing regime for exploration and development activities, and the Government obtains revenues from the UK’s natural resources through imposing taxes. As a result every response from the Government to market conditions, or attempt to stimulate activity, takes the form of legislation that applies to everyone and tends to hang around. Other jurisdictions, which operate production sharing regimes, have the luxury of adapting production sharing formulas (often set out in contract) to reflect the level of exploration risk for a particular concession or block, with regard to factors such as geographical location and drilling depth, by allowing the parties’ shares to increase or decrease as aggregate production increases. Those operating in such regimes may also benefit from stabilised taxation for a certain period of time (contributing to the attractiveness of a jurisdiction for investment). Whilst the UK has tried to import some mechanisms into the tax system to allow for the recognition of risk in exploration, some commentators feel the UK now fields a convoluted and newcomer-unfriendly fiscal system. 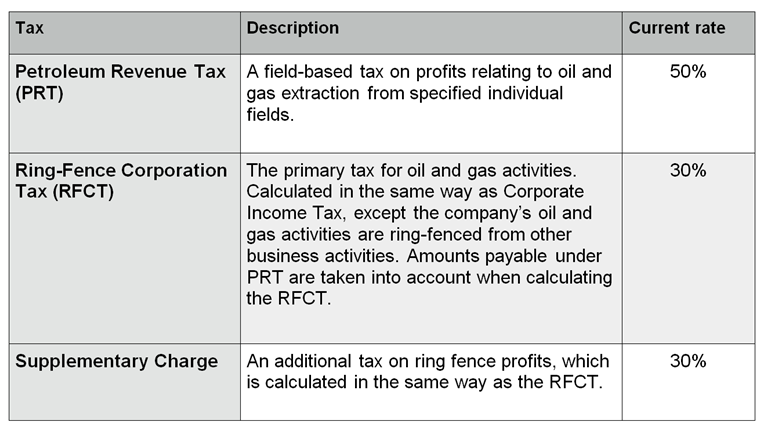 As the competition hots up between countries to provide home for petrodollar investments, this provides an opportune time to review the tax system for the North Sea. It seems that the new Oil and Gas Authority is getting cracking undertaking a review of measures which could be taken to relieve the existing crisis.